I'm a college professor, and often I create assignments in a Google Doc that I want to share with my students. Now, I am just nerdy enough to write Google Script to make copies of an assignment file for each student and to give each student edit access to their copy of the file. That's fun and cool, but there is a much simpler way and no code writing is necessary. First, create the GDoc you want to share; get it set up just the way you want it. Second, share it so that anyone with the link can view the doc (see Fig. 1). 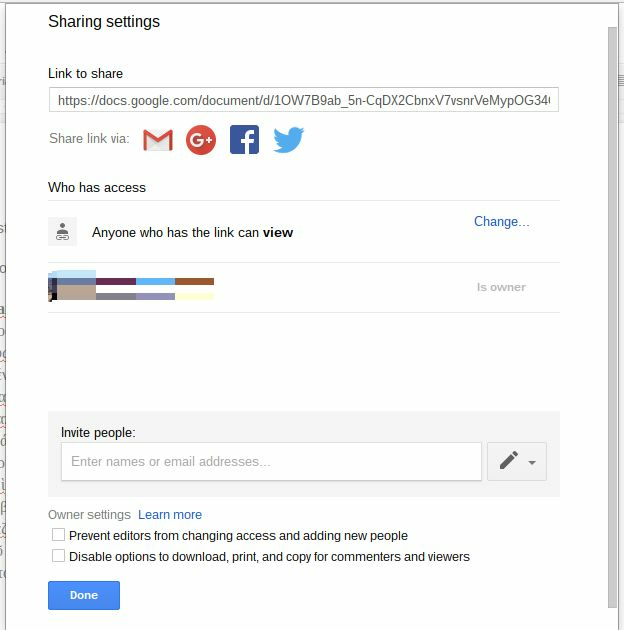 When a user clicks the link with "copy" in it, she or he will be prompted to save a copy to her or his own Google Drive.